Owner Portsmouth City Council has bought a warehouse on the M275 that will allow MMD and the wider port to expand business. 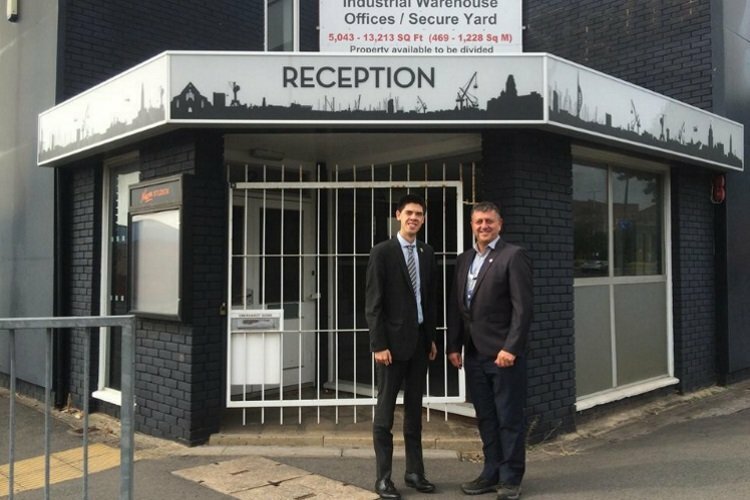 Steve Williams MMD Shipping Services general manager said: “Our strategy to further develop MMD has taken another step forward, now a dedicated office site has been secured in a prime location. Our commercial and operational team will be relocated into the new building, which means we can utilise terminal space more efficiently and safely. The council has secured the former Neon Signs building, in Prospect Road, which has been vacant for some time. Cabinet member for planning, regeneration and economic development Cllr Ben Dowling said: “This is a key investment in a strategic Portsmouth site. The highly visible, easily accessible 13,200 sq ft two-storey building is located at the main entrance to the naval base and includes office space on the first floor.